Cricket Cookies, Apple Mealworm Snacks and More! The Museum of Nature in Ottawa is gearing up for a March Break full of fun with their Bugs: Out of the Box event! Kids and grownups of all ages can sample cookies made with cricket powder, and can make a delicious nutritious snack of apples covered in honey and mealworms. That’s right! Mealworms! 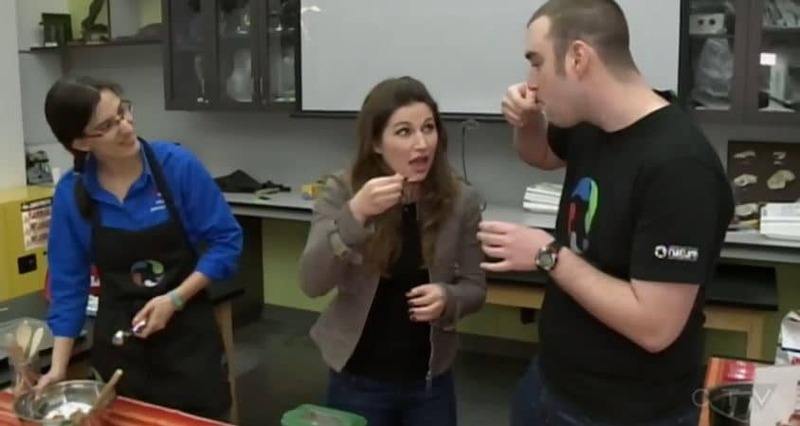 Learning about entomophagy, eating insects, is all a-buzz at the Museum of Nature! Watch educator Mara Bouse chat with CTV Ottawa host at the Museum.